A wide variety of strategies have been identified over the years, which purportedly outperform the stock market. Some of these include buying undervalued stocks while others rely on technical analysis techniques. It's fair to say no one method is fool proof and most go through both up and down periods. The challenge for an investor is picking the right method at the right time. 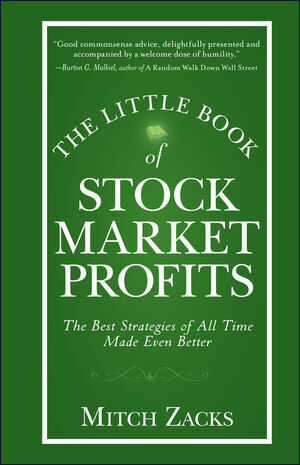 The Little Book of Stock Market Profits shows you how to achieve this elusive goal and make the most of your time in today's markets. MITCH ZACKS is Senior Portfolio Manager at Zacks Investment Management. He is also the author of Ahead of the Market and has written a weekly finance column for the Chicago Sun-Times. Zacks earned a degree in economics from Yale University and an MBA in analytic finance from The University of Chicago. Prior to joining Zacks, he was an investment banking analyst with Lazard Freres in New York.